A Trex®Pergola™ will add function and beauty to your outdoor space and because they are sold as kits, they are affordable and easy to install. Made with TrexTrim™, you will not have to worry about rotting, fading, or splitting for decades. CLICK HERE for more information on engineering testing. 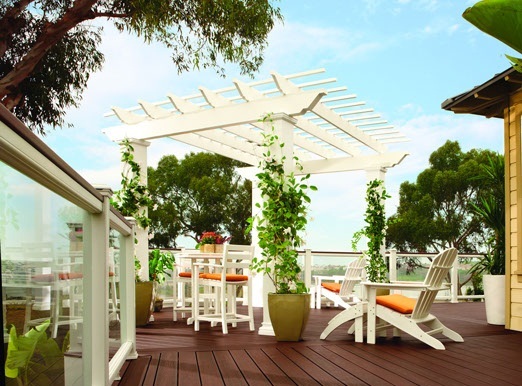 Every Trex Pergola comes in the standard TrexTrim smooth white finish or with an optional ColorLast™ finish.